Senator Jeff Sessions (R-AL) spoke with reporters today following media reports that Mitt Romney is going to be considered for a cabinet position in the Trump administration – possibly Secretary of State. Senator Jeff Sessions told reporters today outside Trump Tower that Mitt Romney is one of the people who is being reviewed for a cabinet position. 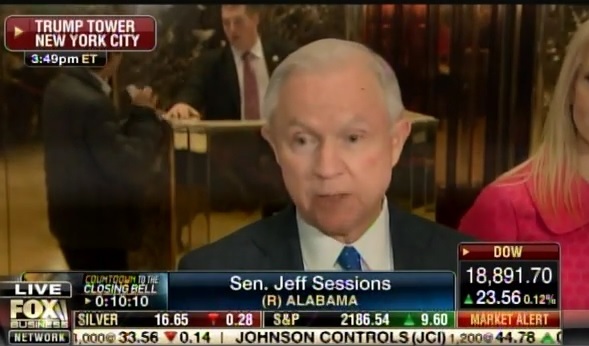 Senator Sessions: I think it’s good that the president-elect is meeting with people like Mr. Romney. There are a lot of talented people that – he needs good relationships with. And I think Mr. Romney will be quite capable of doing a number of things. Sessions made the statement at the Trump Tower in New York City.